England is not necessarily known as a cold country. We do however get a few weeks of frost, and recently have also been blessed with small but nevertheless delightful amounts of snow. Our home is on the edge of woodland, which means there are hardly any buildings to shelter the house from the cold and wind, and therefore it gets very cold at night. Both me and Mr Fox were struck down by a terrible cold and spent both Christmas and NYE in bed. We did try to go out for a little bit on the 31st, but I fell asleep on our friends’ couch halfway through the party. Unfortunately, we live above stingy people who don’t heat their flat at all and consequently our floor is very cold despite the carpet. As a result, we constantly suffer from cold feet. One of my new year’s resolutions was to create more this year, and to take better care of me and mine, so I ventured out in the snow yesterday to get some wool for a pair of crochet slippers for Mr Fox. 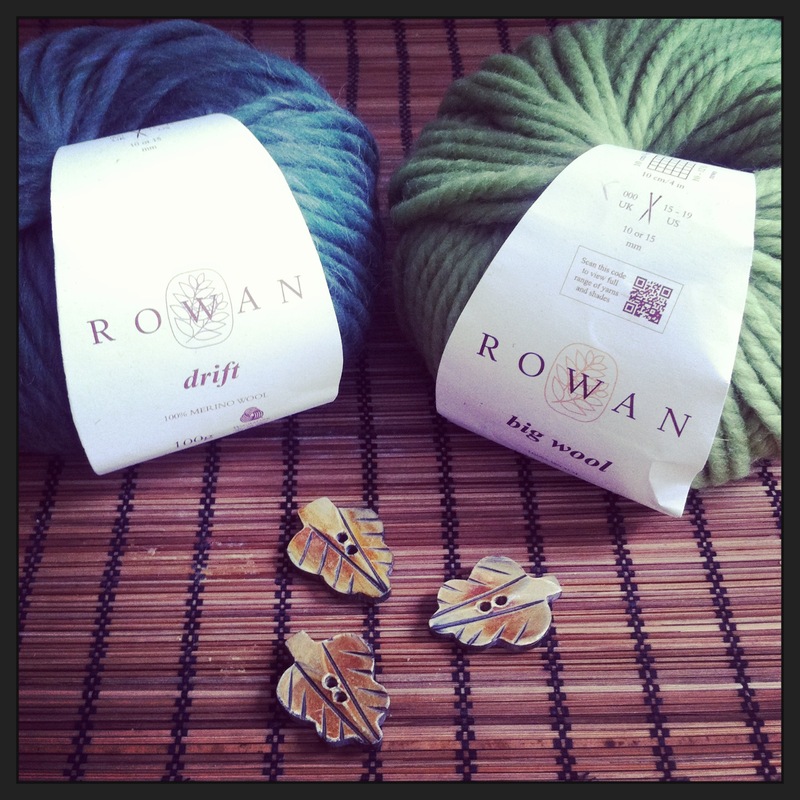 Rowan has a wonderful range of chunky Yarn called Big Wool that I love working with. I found some pretty wooden buttons that I think will look amazing with the green hues I’ve chosen. I will post a picture of the slippers as soon as they are finished, and I might even write up a pattern, so check back soon. Do they come in pink too?